The Arts and Crafts period is a perpetual classic and this uptown 2/2 bungalow represents it wonderfully with many original details. 1,300 SF. Generous living and dining rooms, kitchen and great mud room. Private yard. $345,000. 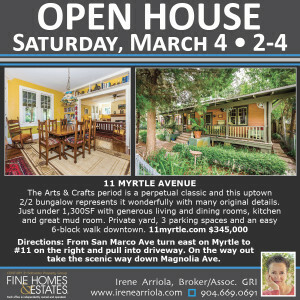 Visit 11myrtle.com for details.